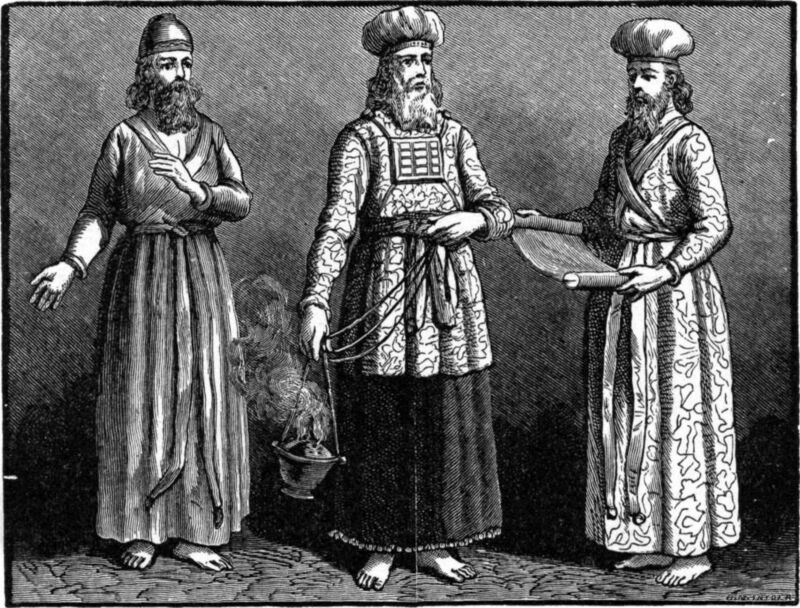 In the religious politics of the Second Temple period, the Aaronide priestly dynasties were the Mushite priesthood. Differentiating priestly families earlier in Israel’s history raises questions about methodology and purpose as well as evidence. A comparison of Cross’s reconstruction of the Oniad high priestly line with his Mushite theory lays the basis for re-evaluating historical scholarships’ interest in ancient Jewish priestly families. In the religious politics of the Second Temple period, the Aaronide priestly dynasties were the Mushite priesthood. Differentiating priestly families earlier in Israel’s history raises questions about methodology and purpose as well as evidence. Let me begin by drawing a distinction between the influence of priestly families, on the one hand, and divinely-ordained monopolies by priestly lineages, on the other. The influence of families in ancient Israel’s religious affairs is evident, as is the influence of family ties in all aspects of Israel’s society and in those of other ancient cultures. Just as families tried to pass down to future generations their wealth, land, and positions of influence, so families of priests tried to pass on their positions in the cult. The ability of certain families to dominate the priesthoods of particular temples is therefore a subject of religious history. Histories of ancient Israel’s religious institutions rightly query how family ties played a role in supporting these institutions. The rhetorical means by which families laid claim to priestly positions is a different subject. Evidence that a particular family maintained control over a temple for several generations does not, by itself, tell us how they justified that control. The reputation of their ancestors for effective mediation with the divine was no doubt helpful in propelling the careers of their descendants. But priestly lineage can be evidence of meritocratic ritual expertise as much as of aristocratic divine right. Additional historical documentation is required to substantiate what rhetoric reinforced priestly authority. Genealogies are not institutions or even families. Genealogies are components of rhetoric about families and, sometimes, about the institutions they lay claim to. The books of Exodus, Leviticus and Numbers utilize genealogical rhetoric explicitly to claim a divinely-ordained priesthood for Aaron and his sons. In the laws, God grants them a monopoly over Israel’s Tabernacle altar (Exod. 29:44; Num. 18:8), and the responsibility to determine and teach correct ritual practice (Lev. 10:10-11). The broader tribe of Levites receives rights to secondary positions in the sanctuary (Num. 18:21-32). In the stories, God reinforces the Aaronides’ monopoly by punishing Levites and lay people who challenge them (Num. 16). All this literature seems to be post-exilic. References to Aaronide priests do not appear in older biblical literature. Neither do references to Aaron or Moses. Thus Moses as much as Aaron seems bound to the Aaronide priests of the Second Temple period by these genealogies. Only some references to Levites as a professional class break this historical log-jam and may offer a glimpse of pre-exilic priesthoods that owed their appointments to individual (Judg 17), tribal (Judg 18), or royal (2 Sam, 1 Kgs) patronage. Though certain families of priests wielded considerable influence at times, there is no suggestion in Deuteronomistic and prophetic texts that genealogy granted these families a monopoly over the office. That is what we would expect from most other ancient Near Eastern references to priests. Actually, it is quite difficult to establish a cross-culturally dependable definition of the word “priest,” much less its legitimizing rhetoric of genealogical descent. Ancient Near Eastern ritual rhetoric preserved in inscriptions and historiographical documents makes little place for priestly genealogy. It instead emphasizes the power of kings to establish cults and their personnel. When regimes changed, priests then fell victims to purges. Classical Greek cities honored hereditary control of some cult sites and rituals while allotting others by lot or purchase, often annually. Expansion of civic and, later, imperial sponsorship of temples eroded the power of hereditary claims. Across the ancient world, priests of larger temples seem to have served at the pleasure of royalty, while the responsibility to officiate at smaller, local shrines rotated among the leading members of the community just as often as it rested within a single family. In the Persian and Hellenistic periods, a few families did gain long-term control over some larger Egyptian, Greek and Mesopotamian temple complexes for as long as several centuries, just as the Oniads and the Hasmoneans controlled the Jerusalem temple during the same time periods. The rise of these priestly dynasties thus seems to have been the product of imperial politics. So was their demise: the Romans and their client rulers, such as Herod, actively switched high priests and pitted priestly families against each other in Jerusalem, and also in Egypt and Anatolia, to prevent concentrations of wealth and power that might be turned against the imperial overlords. In Israel’s literature, the stories about the monarchic and earlier periods show a wide variety of people officiating at YHWH altars, sometimes with that title kohen “priest” but frequently without it. The Hebrew Bible does provide indications of families controlling various shrines at different times: the descendants of Moses at Dan (Judg. 18:30), the descendants of Aaron at Bethel (Judg. 20:28), Eli and his sons at Shiloh (1 Sam. 1-4), Zadok and his son in Jerusalem under Solomon (1 Kgs 4:2), and Jeshua ben Jehozadak in Jerusalem at the time of the restoration (Zech 3, 6; Ezra 2:36). Second Temple literature tells us about the Oniad dynasty in Jerusalem in the following centuries and the Hasmoneans in the second and first century B.C.E. However, biblical and post-biblical literature records only Aaronide genealogical rhetoric, which eventually incorporated most of these families as well. The Mushite hypothesis began with Julius Wellhausen and was developed by Frank Moore Cross. It has recently been revived again by Mark Leuchter. It postulates that the descendants of Moses wielded wider priestly influence in early Israel than the single story in Judges of their service at Dan suggests. The Mushite hypothesis builds on scattered genealogical references to Moses’ descendants. Exodus 18:3-4 lists the sons of Moses and Zipporah as Gershom and Eliezar. The lists of clans in the tribe of Levi contains a “Mushite” clan (Mushi) among the descendants of Merari (Exod 6:19; Num 3:20, 33). The Aaronides descend instead from Merari’s brother, Kohath, through Amram, whom the following verse in Exodus lists as the father of both Aaron and Moses (Mosheh: Exod. 6:20). Chronicles strictly distinguishes the Merari Mushites from Moses’ descendants, but also distinguishes the latter from Aaronide priests (1 Chr 23:13-23; 24:20, 30; 26:24-25: “Shebuel son of Gershom son of Moses”). Except for Exodus 18, critical scholarship usually credits all this genealogical rhetoric to P or P-influence. However, a non-P story in Judges 17-18 tells about a priest who first officiates at a family shrine in Ephraim and then becomes priest of the temple in Dan, where his sons succeed him in that office. This priest is identified as Jonathan, a Levite from Bethlehem “of the family of Judah” in 17:7, but as “son of Gershom, son of Manasseh” in 18:30. Most interpreters think the nun has been interpolated in the name “Manasseh,” so the phrase originally read “son of Moses.” [ADD FN on hanging-nun in MT and rabbinic discussions of it] The verse goes on to claim that “his sons were priests to the tribe of Dan until they went into exile”—so, for around three centuries. Thus Wellhausen found in this story an account of a Mosaic priestly family with roots in Judah and a long tenure at the Dan temple. Despite this reconstruction of a Mushite priestly line descended from Moses in early Israel and his suggestion that “Levite” was originally a name for Moses’ family so the Levites identified with Moses, and that Mosaic and Aaronide genealogies in P have been confused and that the Mosaic is older, Wellhausen maintained that, on the whole, the definition of priests as genealogical Levites is Deuteronomic and later. The genealogical division of priests is postexilic and reflects the circumstances of the Second Temple period. He argued that Israel’s priests evolved from the remnants of the scattered tribe of Levi who found sustenance as officiants at local shrines, and then evolved into royal appointees under the Israelite and Judean monarchies. Deuteronomic centralization drove some of them to accept support positions in the Jerusalem temple. Ezekiel 44:5-14 seems to narrate a shift from foreign hierodules in the Jerusalem Temple to Levite assistants. For Wellhausen, Levite claims to this role based on the legitimacy of their genealogy were a product of the rise of hierocracy in the Second Temple period. 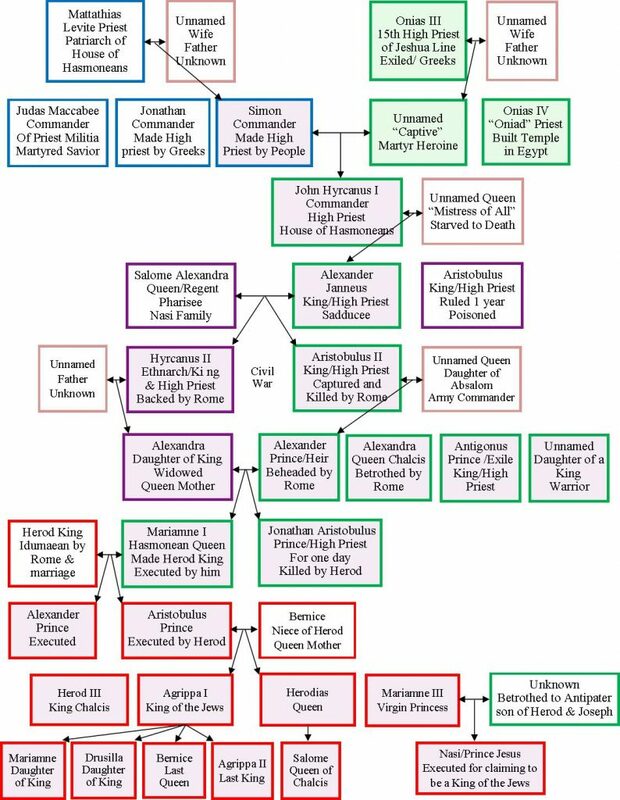 Cross’s discussion summarized these points, but quickly delved into genealogical definitions of rival priestly lines in the settlement and monarchic periods. He weaved various stories of priestly conflict in the primary history into an account of clashes between priestly houses. For Cross, once the affiliation of the various houses was correctly identified as Aaronide or Mushite/Midianite, the polemical attitudes of the authors of Exodus 32, Numbers 25 and 1 Samuel 2 became “obvious” as the products of “an ancient and prolonged strife between priestly houses: the Mushite priesthood which flourished at the sanctuaries of Shiloh and Dan and an alied Mushite-Kenite priesthood of the local shrines at ‘Arad and Kadesh opposed to the Aaronite priesthood of Bethel and Jerusalem.” Cross’s discussion obscured the fact that the texts do not make the claims for rival genealogies explicit. Even within his reconstruction, it remains quite possible to conclude with Wellhausen that pre-exilic priesthoods justified their positions not by genealogical rhetoric, but by patronage from tribes and kings instead. There is an important difference between reconstructing implicit genealogies and reconstructing historical events. In the latter case, say of a battle or the succession of one king to another’s throne, the stories tell of an event. That event may or may not have happened, and may have happened differently than the story relates it, but at any rate there is an external referent to which both story and historical reconstruction refer. In the case of genealogical claims to legitimacy, there is no external referent behind either the text or its modern reconstruction. Genealogies are themselves interpretations, a form of rhetoric that serves to persuade others of the legitimacy of a person within a particular family. There are no genealogical facts short of DNA evidence. Even then, the prevalence of adoptions into a families in antiquity and modernity mitigates the social relevance of DNA. In other words, genealogies are always normative claims about identity and legitimacy, not descriptive accounts of some material reality. That observation applies equally to the modern claims about the genealogies of Israel’s priests as it does to the claims of the ancient priests themselves. There is no ancient referent for a genealogical reconstruction except for ancient rhetoric about family identity. Of course families in ancient times, like many modern families, tried to pass on property, careers, and incomes from one generation to the next. They also tried to inherit priestly posts and prebends, and often succeeded in doing so. These common economic concerns of households should be distinguished, however, from rhetoric that seeks to justify such generational transfers in genealogical claims. Biblical texts attest to genealogical arguments for inheriting property in ancient Israel, just like in most other cultures. 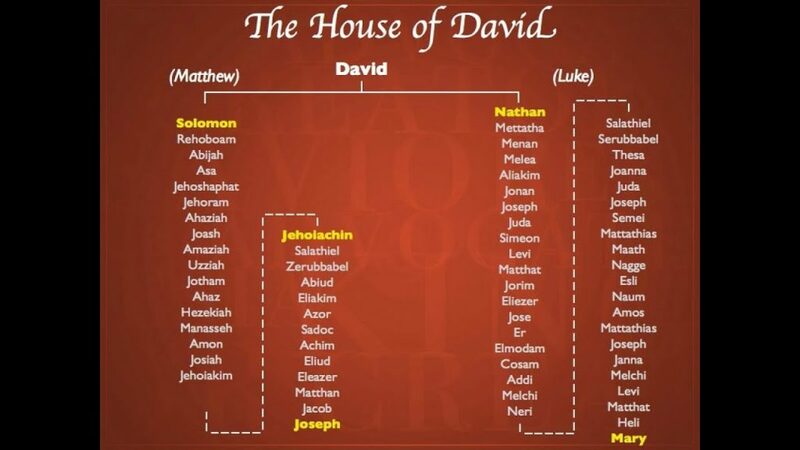 Also like other cultures, they attest to a dynastic principle governing changes in kingship, though they support only one legitimate line, that of David’s descendants. Biblical texts also attest to genealogical justifications for holding priestly posts, but again for only one family, Aaron’s, and only in post-monarchic texts. In the case of royalty, it is plausible to think that a wider range of dynastic claims has been reduced only to the Davidic line by the ideology of the biblical writers. Historians can therefore be excused for thinking that a similar process reduced a wider range of priestly lineages to the single Aaronide line. However, older strata of biblical literature show only a few signs of households dominating some shrines. They contain no trace of priestly genealogical claims that can reliably be distinguished from that of the Aaronide line. So the alternative scenario described by Wellhausen remains likely, that biblical writers elevated the monopoly of the Aaronide lineage by divine grant on analogy with Davidic royal claims. Later, Ben Sira expressed this analogy explicitly: “Just as a covenant was established with David, son of Jesse of the tribe of Judah, that the king’s heritage passes only from son to son, so the heritage of Aaron is for his descendants alone” (Sir. 45:25 NRSV). The Pentateuch modeled priestly legitimacy on royal rhetoric and trumped it, by placing Aaron’s appointment in the Torah from Sinai, long before the rise of David. This rhetorical development fits well the Second Temple period when high priests were emerging as the sole native representatives of the Jewish people, first sharing power with Persian governors, then by the Hellenistic period becoming the supreme leaders in Judea. Eventually under the Hasmoneans, they claimed royal titles as well. In the religious politics of the Second Temple period, these Aaronide dynasties are the Mushite priesthood—that is, the priests who base their claims on the Torah of Moses. Just as other ancient priestly claims rested on assertions of royal grants, the Aaronide’s claims rest on a grant from a divine king. Nowhere in the Bible is there any assertion that genealogy by itself grants privilege (no myth of priestly “pure” blood or something similar). Priestly rights and responsibilities were originally dependent on royal authority, such as in stories about David’s and Solomon’s courts. Second Temple-period texts had to cope with the absence of kings and their royal grants to ground priestly authority. Ezekiel grounded their claims the traditional rhetoric of royal patronage by using Zadok’s name to evoke loyalty to David. Zechariah claimed direct oracular legitimation of the first post-exilic high priest, Jeshua ben Jehozadak. 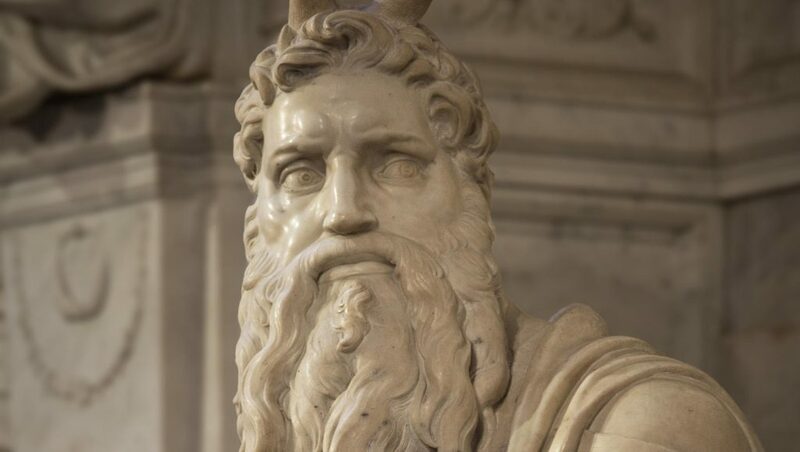 The writers of P combined royal and oracular legitimation by grounding their claims in a grant to Aaron from the divine king through the archetypal prophet, Moses. hoped not for a restoration of the monarchy, but for a restoration of the monarch, who is now redefined according to his deepest and truest function as the servant of God, one devoted to the divine service, to liturgy. He was to be what Aaron is in P’s theology, the foremost organ of the congregation before God. In the context of this idealized political rhetoric, calling the priests “sons of Zadok” implicitly recalls an ancient monarch (David) to criticize contemporary rulers by comparison. That was the standard way to justify political criticism in the first millennium B.C.E., not just in Israel (e.g. the book of Kings) but also in Mesopotamian texts that explained the rise and fall of kings by the degree of their patronage of the local temples (e.g. the neo-Babylonian Weidner Chronicle, the Cyrus Cylinder, and the Verse Account of Nabonidus). Ezekiel, likewise, evaluates rulers by their patronage of temple rituals. It epitomizes priests by their ancestor most famous for his fidelity to the idealized king. No biblical text understood the grants to priests to be unconditional, as the stories of Nadab and Abihu (Lev 10) and the Elide priesthood (1 Sam 2-4) underscore explicitly. It is quite possible to read all the genealogical rhetoric about priesthood that does appear in the Hebrew Bible as defending the two-tier priestly model advocated in post-exilic texts. Rather than mining these stories for suppressed priestly lineages, it would be more productive to take seriously their overt messages that priests cannot depend on their legitimizing genealogy for protection. It is not enough, then, to discover that a priest claimed descent from Moses or Aaron or Zadok. We must also find explicit ancient rhetoric that such descent legitimized their possession of priestly office. Otherwise, it remains quite possible that gaining priestly office and the genealogy of the office holder were unrelated, both in the minds of those priests and in the minds of writers who recorded their stories and genealogies. Biblical literature makes such an explicit link between genealogy and legitimate priestly office only for the Aaronides. Even Ezekiel’s rhetoric does not explicitly justify the Zadokites’ claims by virtue of their genealogy, but rather uses the name simply to identify a group who was justified by their faithfulness to David and to YHWH. Anthropological research shows, as Jeremy Hutton observed, “that genealogies are essentially fungible records of a family’s descent, usually maintained by the members of the family and the society in which the family is located; adjustments in genealogical data are typically intended to represent new social relationships.” Wellhausen’s observation that Deuteronomic and, especially, priestly authors have imposed a genealogical grid on older stories in order to establish the genealogical legitimacy of post-exilic priesthoodd fits these twentieth-century anthropological conclusions very well, ironically much better than many twentieth-century biblical scholars’ differentiations between pre-exilic priestly houses. We should pause to wonder why scholarship on priestly genealogies has pursued such speculative reconstructions of Mushite or Levite lineages. It is not enough to claim that we simply seek the historical facts. Every genealogy, even those constructed by Wellhausen and Cross, are “fungible records of family descent.” So we need to ask: what “new social relationships” do our genealogical investigations advance? Is it possible that they reflect the continuing influence of rabbinic and early Christian polemics against Second Temple high priests so that, if we have to talk about priests, we would rather talk about Levites or Mushite priests rather than the Oniads and Hasmoneans? This is not a comment about particular scholars so much as an observation about the subconscious shapers of scholarly interest that can still reflect the views of Jewish priesthood that dominated rabbinic and Christian traditions (and which, for once, are similar though not identical). The point can be illustrated by comparing Cross’s discussion of pre-exilic priestly houses, including the “Mushites,” with his analysis of the genealogies of the Oniad high priests of the Second Temple era. In an article published just two years after Canaanite Myth and Hebrew Epic, Cross combined evidence from the recently discovered Samaritan Papyri with the account of Josephus and biblical genealogies to confirm the old hypothesis “that two generations are missing in the biblical genealogy of Jewish high priests” in the Second Temple period. Unlike his defense of the Mushite hypothesis that reconstructed a history of priestly houses out of stories about other subjects, his reconstruction of the Second Temple priesthood rests on genealogies that in Ezra-Nehemiah, Chronicles and Josephus presuppose the claim of that legitimate priesthood in Israel depends on descent from Aaron. Now Cross’s different approach was necessitated by the different nature of the evidence: fragmentary genealogies from the Second Temple period itself about its priests instead of narrative stories of earlier priests imbedded in larger histories devoted to other concerns. However, the difference in evidence also indicates a difference in rhetoric: the Second Temple genealogies are precisely and explicitly focused on making genealogical claims for priestly families, while the stories imbedded in historical narratives are not. The control of cults by priestly families died with those cults in antiquity. But because the rhetoric of divinely-ordained dynastic priesthood is in Jewish and Christian scriptures, the rhetoric survives long after the priestly families and their temples disappeared. It was repurposed by early Christian rhetoric (Epistle to the Hebrews) to dispossess the Aaronides in favor of a newly ordained priesthood of Christ and his apostles and bishops. It was circumvented by rabbinic rhetoric of a scholarly lineage apart from priesthood that carried the Oral Torah from Moses to the present day (Pirqe ‘Avot). The modern historical search for the Mushite priesthood also seems to displace Aaronides with an older, maybe more authentic priesthood. For many modern historians, associating early priestly groups with Moses carries the possibility of finding a more textual, more scribal religious source (maybe the Levites?) than the cultically-saturated Aaronides. I think that opposing text and ritual in this way does not reflect ancient religious practice any time before the end of the Second Temple period. But I, too, think that priesthood and even priestly dynasties were connected to scripturalization. 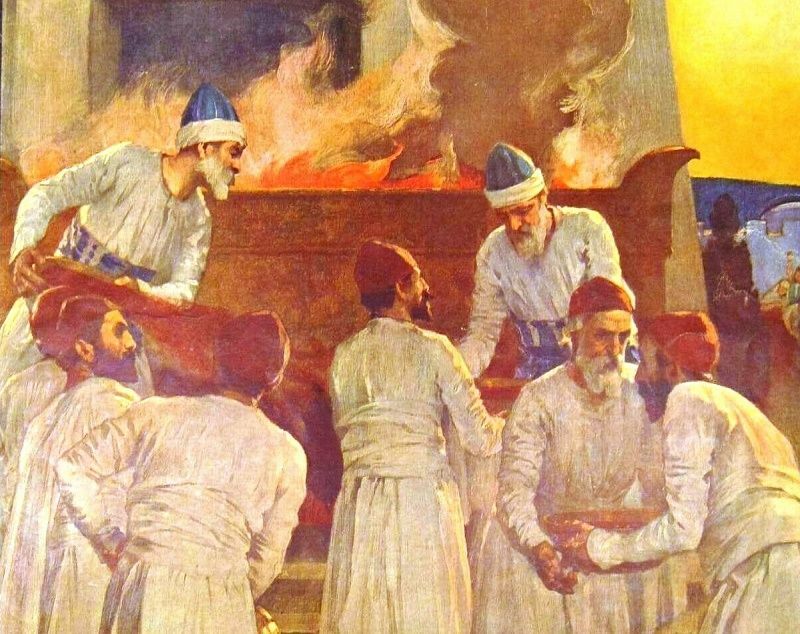 Theories about Mushite priests, however, look for this connection at the wrong end of Israel’s ancient history. The scripturalization of Torah, Tanak, Mishnah and Gospels all seem to have been connected with the changing fortunes of “priestly” groups. We should pay more attention to the relationship between shifts in priestly power and changing directions in scripturalization: from the Oniad’s Torah to the Hasmonean’s Torah weNebi’im to the rabbis’ Tanak and Mishnah (eventually Talmud) and the Catholic bishops’ Gospels and Paul (eventually Old and New Testaments). The decisive changes that fueled the rising authority of each collection occurred when one lineage of religious authority—whether justifying descent from ancestors, from teachers or from apostles—displaced its predecessors using the authority of a reformulated scripture. Each group used genealogical rhetoric to claim a lineage back to a figure granted authority by God in scripture itself. So each lineage claimed to be the true heirs of Moses. The dream of a Mushite priesthood continues in the form of these lineages ad hayom hazeh (“until today”). On biblical accounts of the Levites, see now Harald Samuel, Von Priestern zum Patriarchen: Levi und Leviten im Alten Testament (Berlin: De Gruyter, 2014) who, however, dates all these references to after the destruction of the Kingdom of Judah. See Robert R. Wilson, Prophecy and Society in Ancient Israel (Philadelphia: Fortress, 1980), 21-28; Albert Henrichs, “What Is a Greek Priest?” in Practitioners of the Divine: Greek Priests and Religious Officials from Homer to Heliodorus (ed. B. Dignas and K. Trampedach; Cambridge, MA: Center for Hellenic Studies, 2008), 1-14; Amélie Kuhrt, “Nabonidus and the Babylonian Priesthood,” in Pagan Priests: Religion and Power in the Ancient World (ed. Mary Beard and John North; Ithaca: Cornell University Press, 1990), 150-54; and Michael Hundley, “Priest/Priestess,” in Vocabulary for the Study of Religion (ed. K. von Stuckrad and R. Segal; Leiden: Brill, 2015), online at). James W. Watts, “Ritual Rhetoric in Ancient Near Eastern Texts,” in Ancient Non-Greek Rhetorics (ed. Carol Lipson and Roberta Binckley; West Lafayette, IN: Parlor Press, 2009), 39-66. As in 2 Kgs 10:11; 1 Kgs 4:5; so already Wellhausen, Prolegomena 133-34, 139. See the essays in Practitioners of the Divine: Greek Priests and Religious Officials from Homer to Heliodorus (ed. B. Dignas and K. Trampedach; Cambridge, MA: Center for Hellenic Studies, 2008), 20-22, 69-72, 75-76, 92-93, 100-103, 191-97; and Jan-Mathieu Carbon and Vinciane Pirenne-Delforge, “Priests and Cult Personnel in Three Hellenistic Families,” in Cities and Priests: Cult Personnel in Asia Minor and the Aegean Islands from the Hellenistic to the Imperial Period [ed. M. Horster and A. Klöckner; Walter de Gruyter, 2014], 65- 120 [74-75]. Moyer observed that “Hereditary succession in the priesthood became well established relatively late in Egyptian history, in the Third Intermediate Period, and extended genealogies on non-royal stelae and statue inscriptions only became common at this time,” fueled especially by foreign (Libyan) rulers that emphasizes tribal affiliations. “Lengthy and detailed genealogies became a means for elite Egyptian families to reassert their claims to positions in the priesthood,” and the family line that served as priests of Ptah in Memphis can be reconstructed down to the Roman period (Ian S. Moyer, Egypt and the Limits of Hellenism [Cambridge: Cambridge University Press, 2011], 68-69; 162-64). In Mesopotamia, hereditary priesthoods also became more common: for example, one family controlled the highest position in the Uruk temple in Mesopotamia through the Hellenistic period (Jacob W. Wright, “ ‘Those Doing the Work for the Service in the House of the Lord’: 1 Chronicles 23:6-24:31 and the Sociohistorical Context of the Temple of Yahweh,” in Judah and the Judeans in the Fourth Century B.C.E. [ed. O. Lipschits, G. N. Knoppers and R. Albertz; Winona Lake, IN: Eisenbrauns, 2007], 361-384 ). For the application of this Roman policy in various parts of the empire, see Richard Gordon, “Religion in the Roman Empire: the Civic Compromise and its Limits,” in Pagan Priests: Religion and Power in the Ancient World (ed. Mary Beard and John North; Ithaca: Cornell University Press, 1990), 235-55 [240-45]. For Judea, see James C. VanderKam, From Joshua to Caiaphas: High Priests After the Exile (Minneapolis: Fortress, 2004), 395, 423. For an Anatolian parallel to Roman interference in Judea’s high priestly dynasties, see Ulrich Gotter, “Priests— Dynasts—Kings: Temples and Secular Rule in Asia Minore,” in Practitioners of the Divine, 89-103 [100-103]. Julius Wellhausen, Prolegomena to the History of Israel (tr. J. S. Black and A. Menzies; Edinburgh: A. & C. Black, 1885), 142-43. Frank Moore Cross, Jr., Canaanite Myth and Hebrew Epic: Essays in the History of the Religion of Israel (Cambridge: MA: Harvard University Press, 1973), 198. Note that this involves not just cultic control, but also land claims for both Aaronides and Levites— traditional locales for genealogical claims in very many cultures. In 1 Chr 5:29ff, “the official terms of office of these high priests, of whom history knows nothing, have taken the place of the reigns of judges and kings, according to which reckoning was previously given” (Wellhausen, Prolegomena, 151). See Jon D. Levenson, Theology of the Program of Restoration of Ezekiel 40-48 (HSM 10; Missoula, MT: Scholars Press, 1976), 95, 113; Iain M. Duguid, Ezekiel and the Leaders of Israel (VTSup 56; Leiden: Brill, 1994), 10-57; Cook and Patton, “Introduction,” 16. Levenson, Theology, 143. Stephen L. Cook sharpened the direction of this analysis in arguing that Ezekiel is reflecting specifically on the faithfulness of Phineas in Numbers 18 (Stephen L. Cook, “Innerbiblical Interpretation in Ezekiel 44 and the History of Israel’s Priesthood,” JBL 114 , 193-208). I am grateful to Michael Lyons for this suggestion. Nathan MacDonald also thinks that Ezekiel’s invocation of the “sons of Zadok” alludes to stories about David’s reign and does not serve as evidence of a separate, non-Aaronide priestly family (Nathan MacDonald, Priestly Rule: Polemic and Biblical Interpretation in Ezekiel 44 [BZAW 476; Berlin: DeGruyter, 2015], 52-53). COS 1.138, 2.124; ANET 312-15. For discussion, see James W. Watts, “Ritual Rhetoric in Ancient Near Eastern Texts,” in Ancient Non-Greek Rhetorics (ed. C. Lipson and R. Binckley; West Lafayette, IN: Parlor Press, 2009), 39-66 [48-53], or Watts, Leviticus 1-10, 91-94. Nathan MacDonald, Priestly Rule: Polemic and Biblical Interpretation in Ezekiel 44 (BZAW 476; Berlin: DeGruyter, 2015), 52-53. Jeremy Hutton, “All the King’s Men: The Families of the Priests in Cross-Cultural Perspective,” in Seitenblicke: Literarische und historische Studien zu Nebenfigurne im zweiten Samuelbuch (ed. 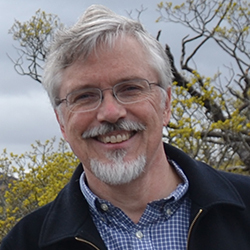 W. Dietrich; OBO 259; Göttingen: Vandenhoeck & Ruprecht, 2011), 133; so already Robert R. Wilson, Genealogy and History in the Biblical World (New Haven: Yale University Press, 1977), 200: “The genealogies may therefore provide the modern historian with valuable insights into the domestic, political, and religious perceptions of the people who use the genealogies.” At most, then, historical investigation of genealogical claims can hope to uncover older forms of normative genealogical claims. Doing so requires competing textual evidence, such as Cross used to estimate the validity or not of the Second-Temple era genealogies. There is, however, no underlying social “reality” waiting to be reconstructed: there were always and only priestly claims to be the legitimate officiants at this or that cult center, or for this or that group of people. Priests likely justified their positions by using any and all arguments that might seem convincing to their audiences, and shifted their arguments as time and circumstances demanded. In the Second Temple period, these legitimizing arguments included genealogical descent. But before that time, it is not clear that genealogical legitimacy played a role in establishing priestly legitimacy in Israel and Judah. Frank Moore Cross, Jr., “A Reconstruction of the Judean Restoration,” JBL 94 (1975), 4-18 . I have previously investigated the link between scripturalization and changes in priestly houses in James W. Watts, Ritual and Rhetoric in Leviticus (Cambridge: Cambridge University Press, 2007), 142-172, 193-214; idem, Leviticus 1-10, 107-129; idem, “The Political and Legal Uses of Scripture,” in The New Cambridge History of the Bible, vol. 1, (ed. J. Schaper and J. C. Paget; Cambridge: Cambridge University Press, 2013), 345-64. Originally published by Syracuse University under the terms of a Creative Commons Attribution-NonCommercial-NoDerivs 3.0 Unported license. This entry was posted in Uncategorized and tagged Ancient, History, Israel, Jew, Judaism, Priest, Religion. Bookmark the permalink.